The Electrolux Design Lab is an annual competition that encourages design students to come up with concepts that may (or in this case, may not) someday see the light of day. 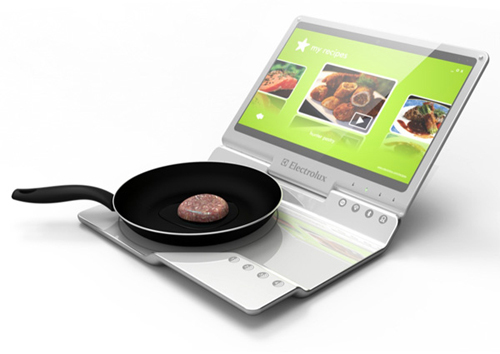 The Electrolux Mobile Kitchen Concept is a laptop and a portable induction cooker crammed into one. It doesn’t really make any sense considering the popularity of connected tablets and phones. Not to mention most people try to keep splattered food and hot grease away from their screens. It didn’t win.